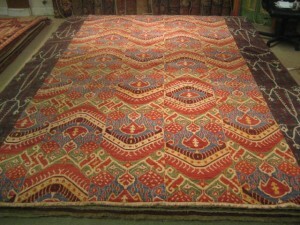 Best quality handspun wool, vegetable dyed Ikat design hand knotted oriental rug. Best of its type. The great new rug. 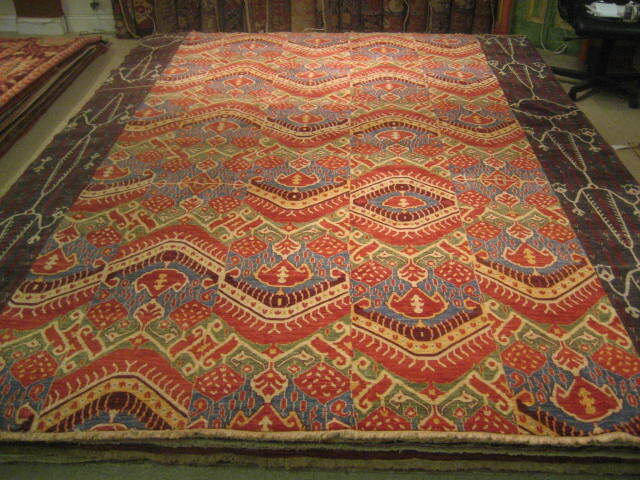 Will be the great old rug.Woven in Afghanistan. Call for pricing.